On Saturday 19 December, New York City's legendary nightclub, Paradise Garage, in conjunction with Good For You Records, will be taking over the Hollywood Palladium for one night only. 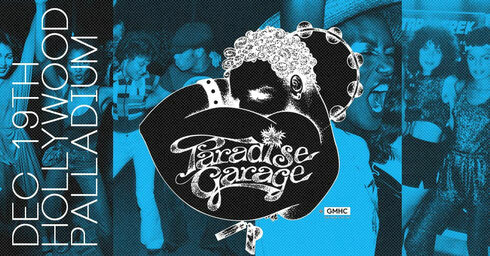 As possibly one of the most important establishments in dance music history, Paradise Garage served as a bastion for the underground house and disco era of the late-70s and ‘80s, while giving birth to a different sort of revelry with a focus on dancing and the DJ. With its offerings, it served as a platform for pioneering artists, like its famed resident Larry Levan, laid the foundation for today's modern club scene, and even gave birth to new sub-genres such as "Garage." Although Paradise Garage officially closed in 1987, its legacy is apparently flourishing around the world, and Southern California will be one of the only places to experience all that it had to offer. In just a couple of weeks, DJs Joey Llanos and David DePino, will be at the helm of the Hollywood Palladium, taking the crowd on a journey through a decades-spanning collection of house and disco. Alongside this event, Good For You Records will also be releasing a special double vinyl ‘Paradise Garage: Inspirations’ compilation featuring music by producers who were changed by their experiences at the NYC hotspot. The compilation will feature music by the late great Frankie Knuckles, Louie Vega, Tony Humphries, Eric Kupper, Kenny Summit and more house legends. This event is also a fundraiser for the GMHC; an organisation that fights to end the AIDS epidemic and uplift the lives of those affected.